Key to Markets allows its client to withdraw from their trading accounts via Bank Wire Transfer with 0 commission applied to the transaction. Our custodian banks are fast and secure. If you choose to withdraw via Bank Wire your funds will usually be credited to your bank account within 2 business days after your request. By selecting one of the methods listed here below you wil be redirected into your personal client area login page. 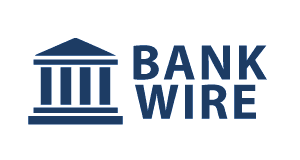 Withdraw via wire transfer in EUR and pay NO fees. Withdraw via wire transfer in USD and pay NO fees.